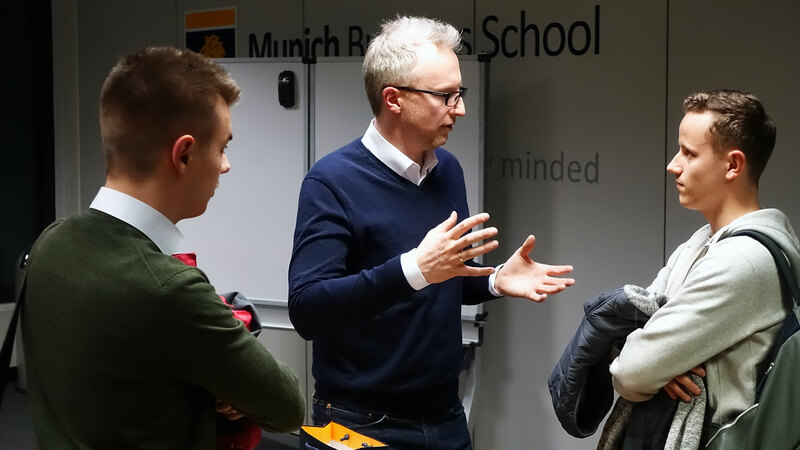 Guest Lecture by Dr. Daniel Nordsiek of BMW Group Focuses on "The Future of Mobility"
At the invitation of MBS Professor Dr. Hans H. Jung and lecturer Dr. Alexander Suhm, Dr. Daniel Nordsiek, Team Lead Applied Artificial Intelligence at BMW Group, visited Munich Business School to give a guest lecture on “The Future of Mobility – Disruption of a 100 Years Old Business Model?” in front of MBS Bachelor, Master, and MBA students. 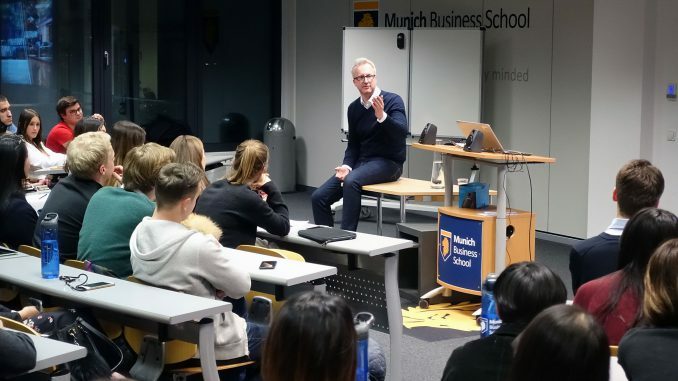 After a short introduction into the topic of disruption and the development of the BMW Group business model, Dr. Nordsiek turned to current challenges of mobility such as the lack of urban space, environmental aspects (e. g., air quality), and the traffic situation, how they impact the business model of BMW, and how the company approaches them. 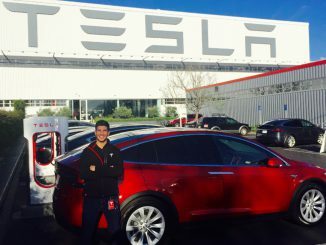 Subsequently, Dr. Nordsiek focused on the current “revolutions” in the mobility sector, namely autonomous driving, electromobility, and shared mobility (including aspects such as car sharing, ride hailing, charging and parking services, and some others), but also touched on megatrends such as connectivity and artificial intelligence. 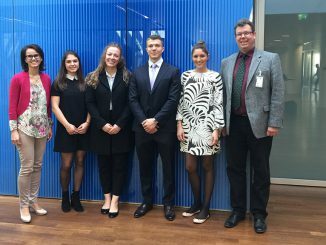 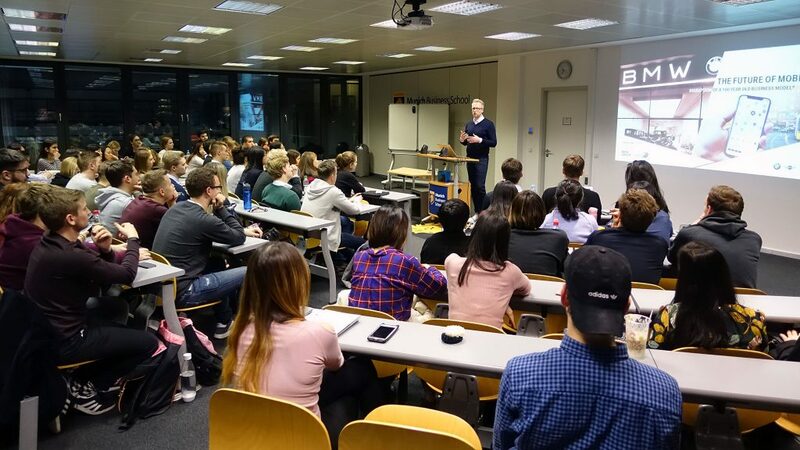 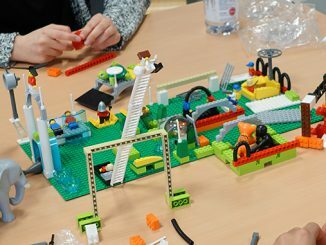 For the second part of the guest lecture, Dr. Nordsiek invited the students to share their own ideas on the future of mobility, and to discuss how the aforementioned disruptive developments are connected to – and how they impact – the BMW Group brands. 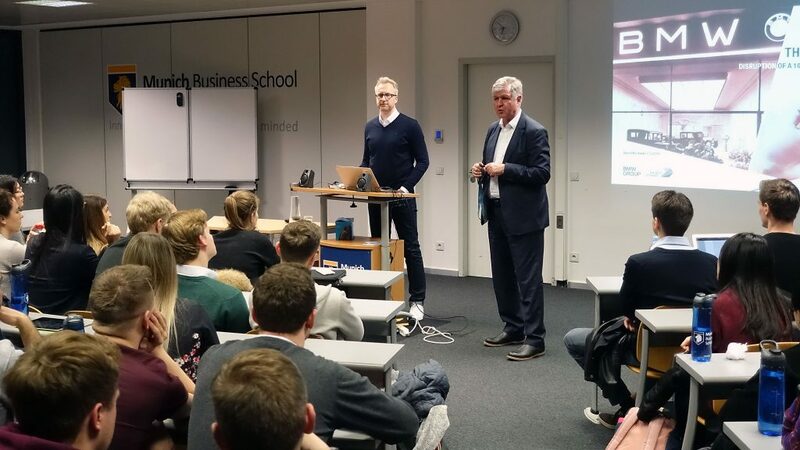 We would like to thank Dr. Daniel Nordsiek for visiting Munich Business School, and for sharing his extensive insights into the the future of mobility with our students!